Authorities have reported eight more fatalities from a blaze in Northern California, bringing the total number so far to 56 in the deadliest wildfire in state history. The announcement came Wednesday after authorities ramped up the search for more victims and said that 297 people were still unaccounted for. Click here to see the entire list of names. Earlier in the day, officials published a list of 101 people they said were unaccounted for. Sheriff Kory Honea later said 29 additional names were not yet included on that list while speaking at a Wednesday evening press conference — putting the total at 130. A monumental task for search and rescue crews in Butte County. 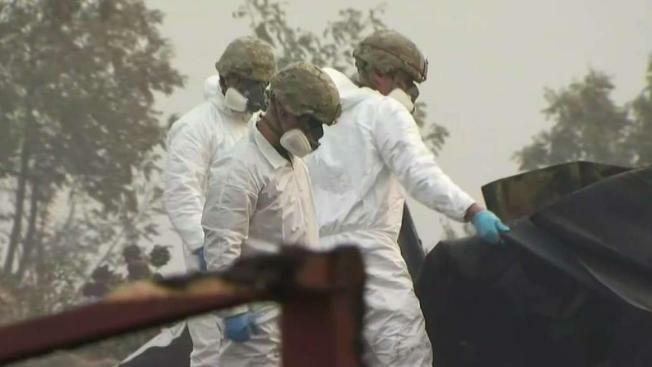 With the death toll for the Camp Fire already the highest in California history, a team of national guardsmen, forensic experts and coroners continue to look for more victims. How high will the death toll go? NBC Bay Area's Sam Brock reports from Paradise with a look at how this delicate operations is being carried out. The sheriff’s office said nobody was available to explain why so many more names were included on the new list of 297 people. 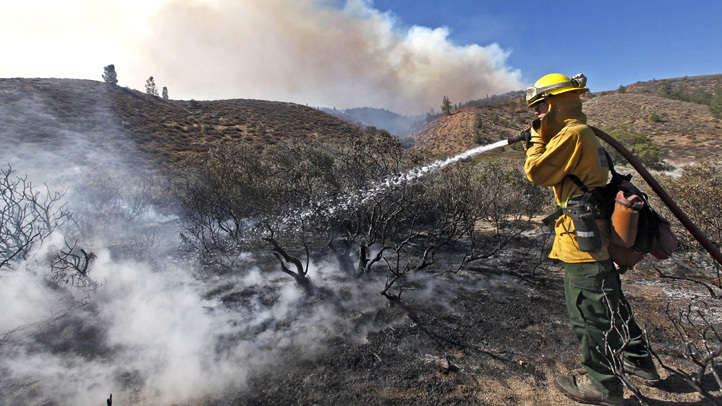 At a Wednesday evening news conference, officials said that more than 5,000 fire personnel were battling the blaze that was now 35 percent contained. Meanwhile, additional crews have joined the search for victims and people reported missing. "We want to be able to cover as much ground as quickly as we possibly can," Honea said. "This is a very difficult task." Friends and relatives of the missing have grown increasingly desperate. A message board at a shelter was filled with photos of the missing and pleas for any information. "I hope you are okay," read one hand-written note on the board filled with sheets of notebook paper. Another had a picture of a missing man: "If seen, please have him call." "In many circumstances, without rapid DNA technology, it's just such a lengthy process," said Frank DePaolo, a deputy commissioner of the New York City medical examiners' office, which has been at the forefront of the science of identifying human remains since 9/11. 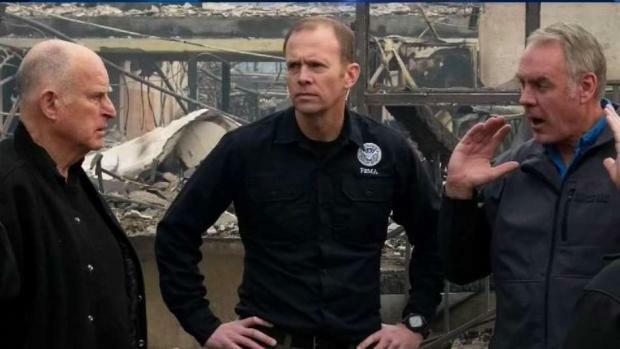 "This is so devastating that I don't really have the words to describe it," Brown said, adding that officials would need to learn how to better prevent fires from becoming so deadly. 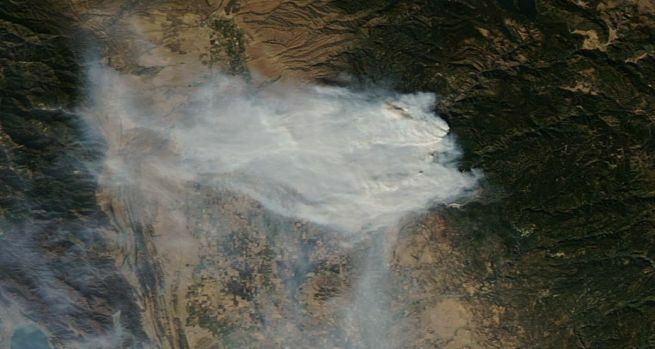 The Camp Fire roaring in Northern California's Sierra Nevada foothills has destroyed thousands of homes and left dozens of people dead in a matter of days. Pete Suratos reports. Her next-door neighbors opened the back gate so her three dogs could escape before they fled the flames, and the dogs were picked up several days later waiting patiently in the charred remains of their home, she said. 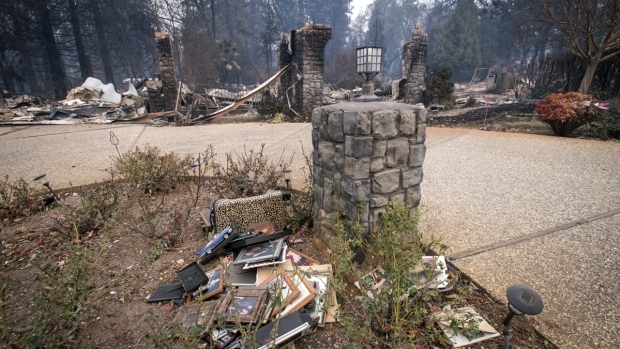 After days of uncertainty, Rawlings learned Tuesday morning that her "Smurf blue" home in Magalia burned to the ground. 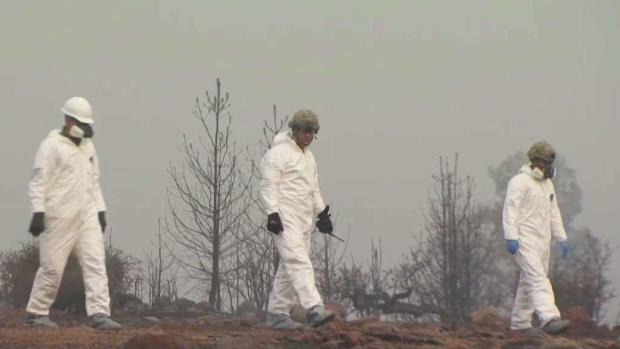 State and federal officials on Wednesday will visit the burn zone left behind by the deadly and destructive Camp Fire burning in Butte County. Pete Suratos reports.